Hi All I have recently brought a MK2f Polo Coupe. And the t-piece pipe that connects to the crankcase breather isnt connected. I was wondering if anyone knows where the thin long pipe connects and also the chunky shorter pipe. Long post, sorry... but a problem i can’t get my head around..! So I am having trouble with the engine running smoothly and driving fine but then after stopping at lights accelleration will be nothing other than a chug at best. First thought of mine and 1st AA man was fuel starvation (it ran out of fuel a week or so before, which is how I found out it reading half a tank actually means empty..! So thought it might be crap come up from the bottom ofthe tank) So change the fuel filter and it runs smoothly again ... for about 10 miles and the same thing happens again at another set of lights. Second AA man swaps the king HT lead around and with a bit of WD40 off it goes again smooth as anything. So get a new set of HT leads and happy motoring for another 10 or so miles when it happens again. This time me and AA man 3 are flummoxed. And that’s where I am now - i still think fuel starvation so a carb clean / tank clean but keen to see if any of you have any ideas. 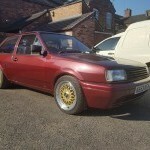 Hello Polo people what engines have people seen turboed, I know loads of people do the g40/PY turbo, iv seen AAV turbos and some GTs, even a 1L turbo but have people done 1.4 AFH turbo or 1.6 16v AVY turbo? Just general discussion about what can be done really feel like making something stupid in the future. Hello everyone! I'm having some mysterious issues with my car after the swap. 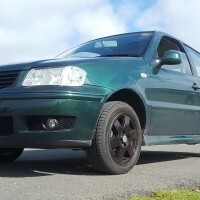 I swapped everything, it has the GTI fuel pump, but still has a rough idle when cold, and poor perfomance even when the engine is at it's operation temp, and it cranks for 3-4, even 5 secs before it starts the engine.It struggles at higher rpms, and has a top speed of 150 km/h instead of 200 km/h. I replaced almost every sensor I could, it's definitely not the lambda sensor, or the crankshadt pos. sensor. Even replaced the coolant temp sensor. I noticed that I have a grey 167 fuel pump relay with 4 legs instead of a black 410 with 8 legs. The guy who made the wiring, didn't notice the different relay. Can this be the cause of my problem? Or could the VVT actuator failure cause this? Thanks for the help! 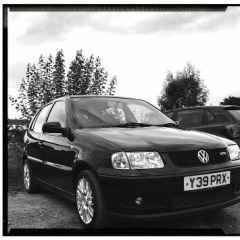 Hello, I'm own a 1998 WV Polo Classic (6KV2) with an 1.6L 8-valve 75HP gasoline engine (AEE). Whenever I try to start the car in the morning, I get the following situation: Engine starts, idles correctly, but if I touch the gas pedal (even in neutral) it will choke and nearly stall. Afterwards it works just fine (even if I stop the engine and start again it's ok). The problem only seems to come back if I leave the car turned of for at least half a day (or overnight). It also seems to be a bit more pronounced in cold weather. Any idea what could be the cause of this? Thanks! Decided to have a crack at replacing the sensor as it seems like a 2 min job, however being a complete noob, my brain was frazzled after opening the engine cover. Is the green thing in the photo the sensor? Any help would be appreciated, cheers. This drives me crazy (no pun intended). The car drives majestically for a 22 year old car and the 1.4 engine is flawless to some degree but aside from my leaking suspension which I fixed, my car rattles or clicks should I say whenever I drive it for an hour or two. The noise comes on small bumps and can be heard only from the inside. You could also hear it whenever you give it more gas and lift the clutch faster (when the engine tries to pull you away), maybe like a hammer hitting an anvil very weakly (metal to metal). It makes me feel like I have an axle which is loose and is inside a tube (cylinder) and hitting its walls. Kind of like putting a pencil in a paper tube and it sits loose in it and the pencil hits against the walls of the tubing when you shake it around. I'm worried since the suspension is new and is quite sturdy (difference is noticable) But there is still that ever so slight noise. Biggest problem is that nobody seems to hear it except me and I can't prove it unless I make the person drive and feel the extra noise on the speed bumps which is non-existent in the morning. I have doubts it might be connected to the transmission being loose or the engine being loose. Either way, thank you for sparing time to read this! So after doing a 180 mile trip last Sunday, I didn't check my oil, I checked it this evening and there was no oil what so ever on the dipstick. Now I topped the oil up about 3 to 4 weeks ago as I saw it was low and carried on driving etc, untill I checked it today. I Do not see any kind of leak, and there is no smoke. I have put more oil back in but only just halfway on the min and max. And I also out cardboard under the car for tonight. As I have work at 6am. Any idea as to where my oil went? Or is it normal for a vw polo to go through that much oil on just 180 mile trip? Hi people,Just finished a hybrid build on twin 40s in mk2f,the problem is whenever I turn left the whole engine moves & alternator hits leg! Can u buy uprated polly mounts as don't want to go solid? Hi everyone. First post on here. I'm having some problems with my 1991 mk2f coupe. I got it on the road about a month ago and its been driving ok up until a long drive down to bristol in the pouring rain (2.5 hours). It runs great when idling with no pressure on the accelerator, but as soon as i touch it slightly, it starts to splutter and sounds like its misfiring. Also doesn't run great when driving around, especially when engine breaking and when the revs lower a bit, sometimes wants to stall and judders a bit but rarely does actually stall. I think it has something to do with airflow/fuel injection/mixture as it only happens at the slightest pressure on the accelerator. maybe electronics from the wet? Dodgy wet or broken wire somewhere? My engine is a 1litre single point injection. It was taken out of a slightly older polo with only 1 oil pressure sensor, the original engine had two. Thats another story though. Don't think this is related though as it ran fine for the first few weeks. I'm new to cars by the way, but learning. Here's what I've done to try and fix the problem so far, after research online and asking around on the polo facebook group. Checked all HT leads for water, there was a bit in the connection on the ignition coil but drying it didn't seem to change anything. What temperature is my engine supposed to run at? its running at about 70 but i thought it was supposed to be higher? it never goes higher than this. anyway i though it might be faulty so changed both black and blue temp sensors. with no change really. I've replaced the lamda sensor. Gonna get a friend to check timing out today but i dunno it its that, as it idles without misfiring. Any ideas on what to try next? before i take it to the garage as a last resort. Cheers! 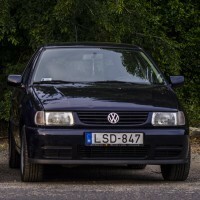 Hi all I have recently brought a 1992 polo coupe 1.0l 4 speed the issue i have with it is that when i turn it over it starts to surge and then will rev up to about 3000 revs and sit there then go back down. Any ideas what this could be? Since i bought my 6N 1.4 8v the expansion tank has been a pretty uniform shade of pink as if G12 has dried all around it, making it impossible to tell the level. I've never thought much of it as the engine seems to cool pretty well (never really goes over 80/90c even on 300 mile motorway trips) and I can see some coolant when i open the filler cap and look into the tank. What are your thoughts on this? Any way to clean the tank? Am i in trouble? Bought a bottle of G12 for some daft price a few months ago for this purpose but has since slipped my mind. Cheers!